This post is brought to you in collaboration with JORD Wood Watches. The reason I hear most often for why people don’t art and craft with their kids is TIME. 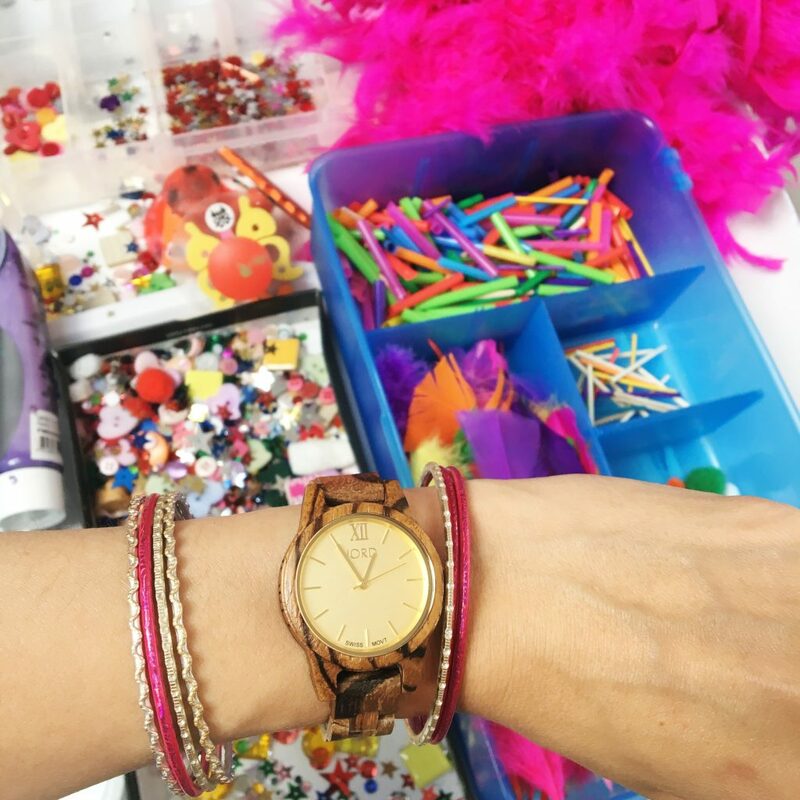 It takes so much time to set up art and craft activities only to occupy kids for an even shorter period. Then you have to spend insane amount of time to clean up the post-activity mess. Let me share with you some of the time-saver hacks I use when I’m getting creative with my kids. I try to set up invitations to create when my kids are napping. Setting up activities when my kids are not running around underfoot saves a lot of time. If you have older kids though, involve them in the set-up. Here’s an invitation to create I set up earlier in the week. 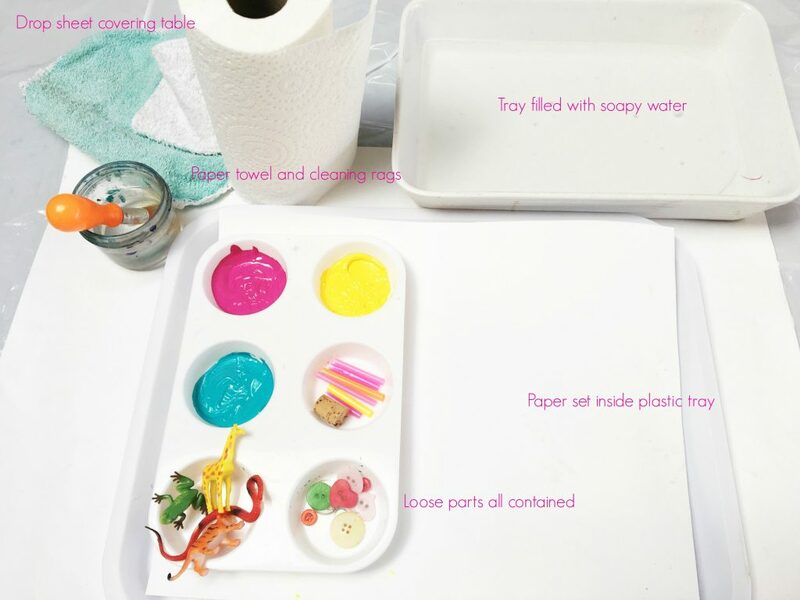 Using a plastic tray gives your child a defined space to work within. It’s also easy to remove from the work space when things need to be cleaned. Keeping loose parts contained also minimises clean-up time. And always dress for mess! This includes the furniture. So drop sheets and smocks. 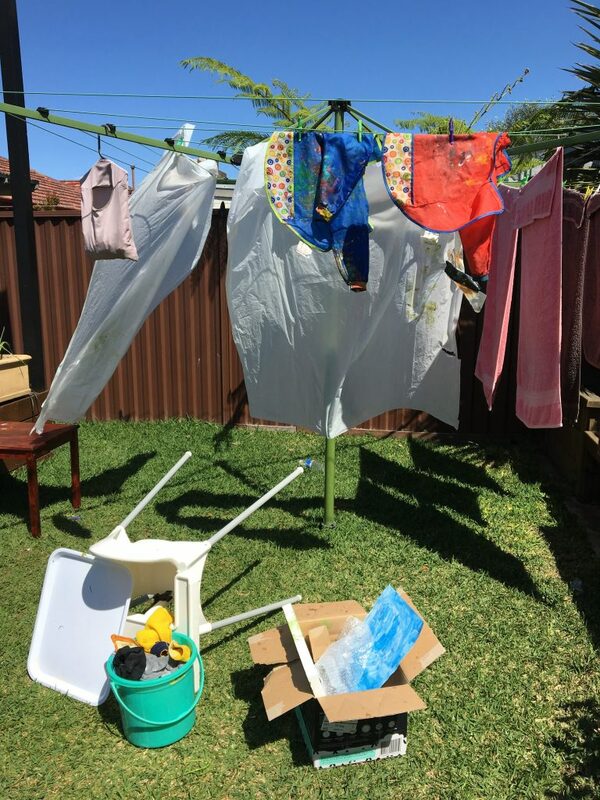 I reuse our drop sheets but if we are doing a super messy activity, like papier-mache, then I will just pick up the drop sheet and put it and everything contained within it straight in the bin. Easy clean-up! Art and craft doesn’t have to happen inside at a table. 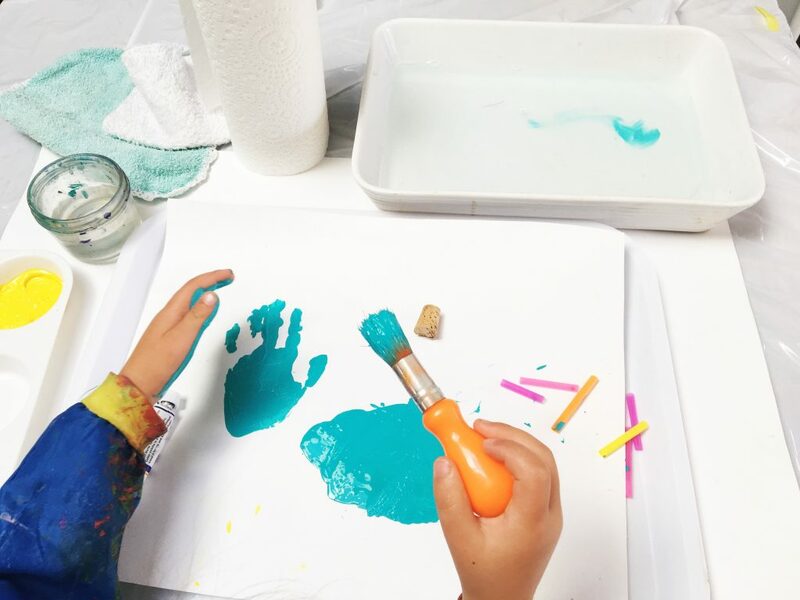 Taking your creative experiences into different spaces can also minimise stress, clean-up and allow for an enjoyable time for you and your little artists. When the weather is warm, we love taking our art and craft into the garden. 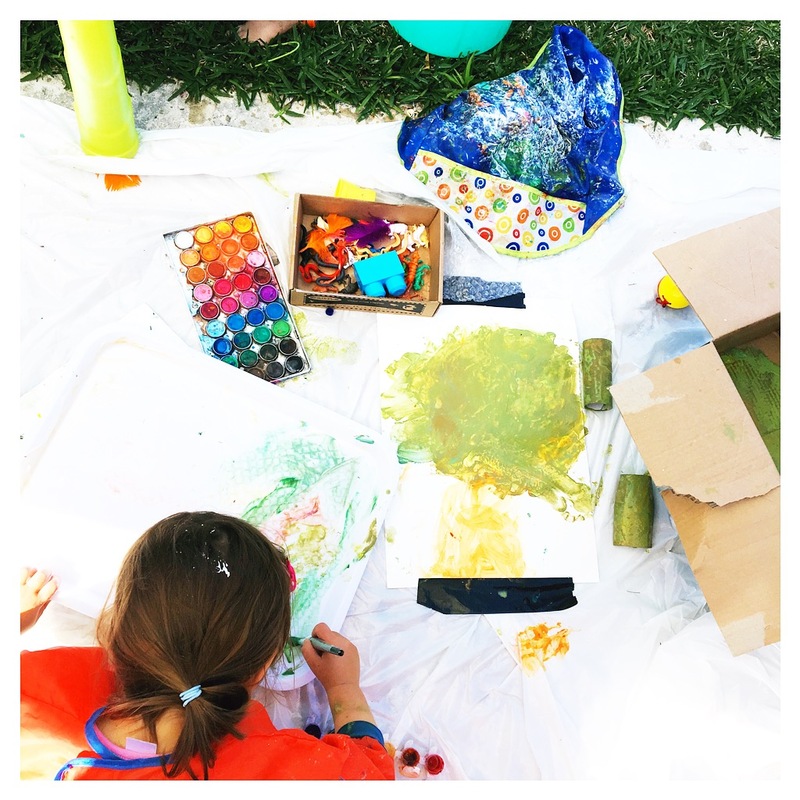 I always find that these sessions run longer as the kids can leave their art, explore in the garden, come back to the art, play, come back…. and clean up is easy outside! Painting in the bath is another way to save time. Or sometimes we take our art to the park. I find that when I don’t worry about the final product I “want” my child to produce, these sessions always last the longest. When children are engaged with the creating process, they are happy to just create and explore. 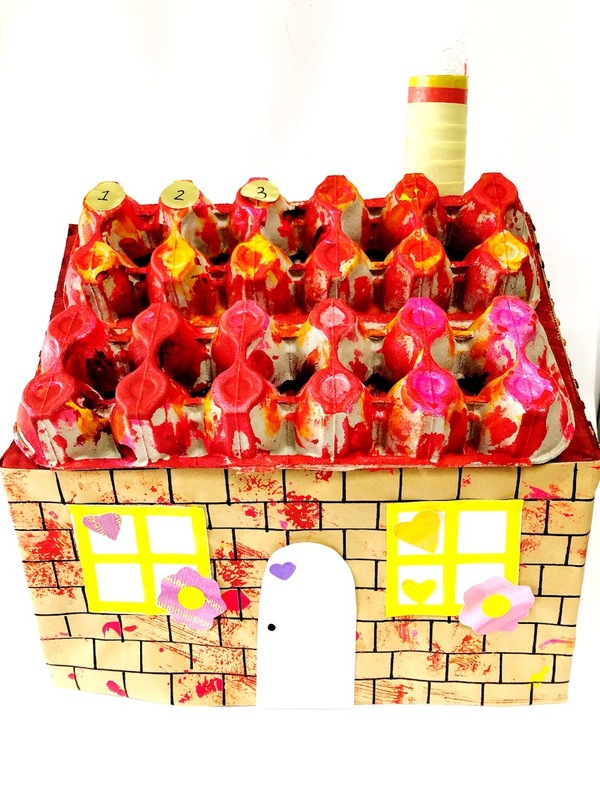 Art and craft sessions don’t need to be big, grand experiences. They just need to provide your children with a chance to express themselves, practise some fine motor skills and engage in sensory play. 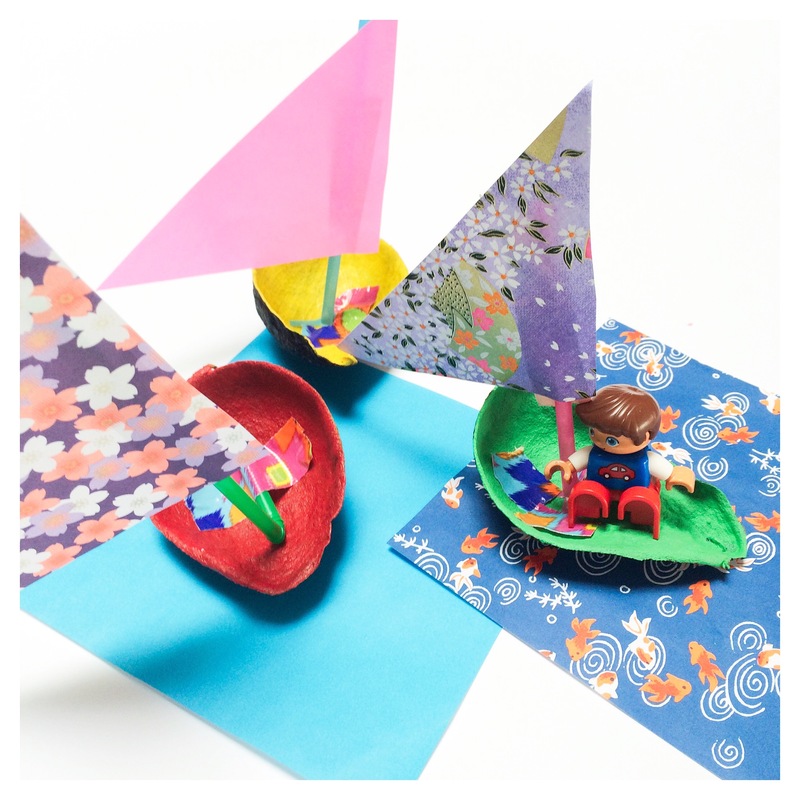 Here is a simple Matisse-inspired activity that uses paper, scissors and glue. So simple! 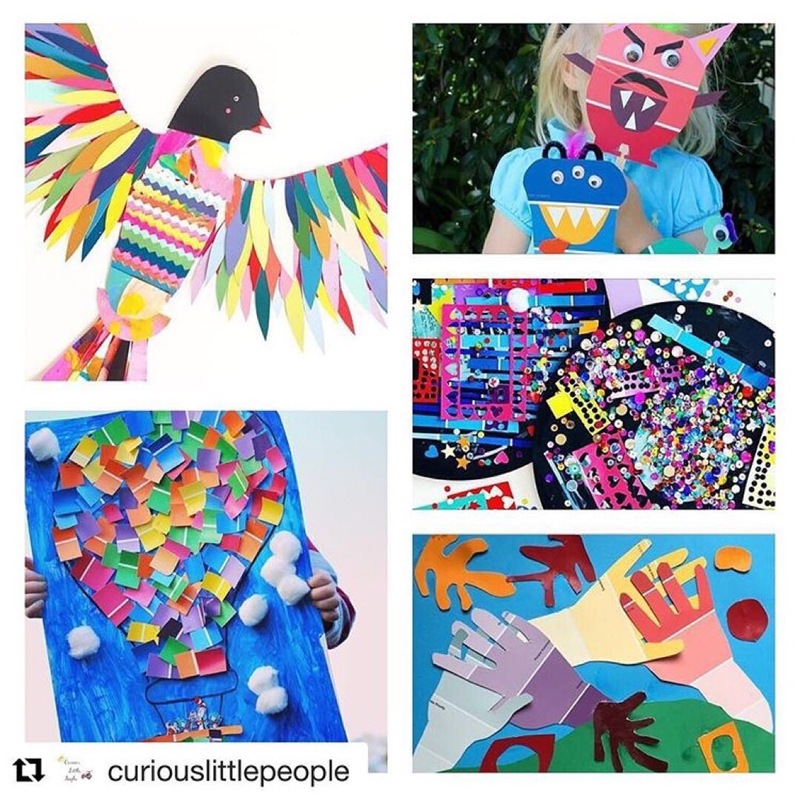 When it comes to art and crafts, there is no “right” or “wrong” way to create. Sometimes as adults I think we get hung up on what we expect kids to create. (Repeat- process not product. Process not product.) So if we suspend judgement and control the urge to jump in, often an art and craft session can go for even longer than anticipated.